Brodi Ashton: Do you Have a Query or First Page you'd like to Share? and The True Meaning of Gauntlet. Do you Have a Query or First Page you'd like to Share? and The True Meaning of Gauntlet. 1. To fill the void left by Free Book Friday Holiday Hiatus: Do You Have a Query or a First Page you'd like me to read? Occasionally I get asked to read queries or manuscripts, and too often I don't have the time, or I'm not able to get it done in a timely manner, or people realize I just can't read good. But I thought it'd be a fun holiday experiment to change that. So, if you'd like me to read your query or first page, send it on over. You can even request "no feedback" if you'd just like to share it with me. I hesitate to call it a present, because that implies my feedback is worth something. But I will say sometimes, as writers, we need to bounce stuff off someone who doesn't know a thing about the story. My email is on the sidebar. It will remain anonymous. Nobody has to know. And if I get some good ones, maybe I'll post them and we can discuss why they're so good. 2. Kid C brought home his latest self-portrait from school: It's cute and all, but it sorta makes me worried I'm going to walk into his bedroom one day and find an ear lying there on the floor. 4. 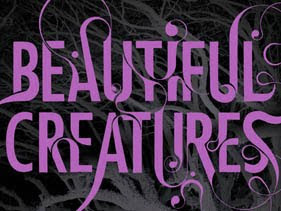 I'm going to a book launch party today for Beautiful Creatures, so I will stock up on signed copies for when Free Book Friday gets going again in January. 5. Next week we'll begin compiling our lists for good books to give away as presents, so be thinking! Anyone doing anything fun this weekend? I have a family party, a family party, and a family party. Got Maze Runner in the mail last night-- THANKS!! sounds like a fun weekend! for you. i LOVE kid C's self portrait. not only is he smart, he is also artistic! wtg C! Dorien- You always did have a soft spot for Kid C. Thank you! Sorry, nothing to send you, though I have been thinking about writing lately. PS the verification word for me is not only legible but pronounceable. It must be my birthday or something! And this time it was "herstr"
No, I last updated like... 2 months ago? Maybe not that long. When we started writing (Mar. 2003) we used the actual dates for the letters, but life happens, you know? So we stopped using actual dates... which means that even though the last letter I wrote was written on like Nov. 19, 2009, the date of the letter was April 25th (?) 2004. That's all clear as mud, right? The show Better off Ted rocks. Great clip. Also, it sounds like you have a lot of family parties to go to. Enjoy them. I will 'work' around the house and get things ready for the Christmas holiday. Have fun! I'm jealous you're going to the party today. I sadly can't make it after all. I expect a good report on that due Monday. I read Egmont mention the other day as a bit of advice: "Do not send query letters in a cupcake box. Then we're just disappointed you didnt send cupcakes." Oh, I forgot to add--Happy NOT Birtday to Heather. I sent you my first page! I've been working on it a lot this week, ever since we talked about writing for young women's earlier this week. We read some of the best first pages I could find, and then we read my first page. Yikes. Not a happy comparison. I strongly recommend against ever doing that! Heather- Happy not birthday to you! Britt- I'm not totally daft, but that last comment of yours had me wondering if I had one of those diseases where I suddenly can't read English anymore. :) I love the concept of those letters. Are you ever going to compile them into a book or something? Sam- nice try. You're so going. Debbie- good advice. I had my query lasered onto the frosting of a sheet cake when I sent it to Ted. That "lasered" doesn't look right. What's the past tense of laser? Jeni- thanks for sending it along. Can't wait to read it! I love the idea about picking out favorite first pages from actual books. It makes you realize the meaning of a good hook! I think today may be one of those days where I need to just accept that my brain is broken and move on. I'd trust your brain over mine any day of the week! I sent over one of my first pages. I'd love to hear your comments. Thanks a ton! you mean the beehive state? Shellie- my favorite was Goshen. I didn't even know that was a city. So can I send you my first page? Just kidding. I'm sure you're as sick of my pages as I am. I will vouch for your ability to critique well though for any of your readers who are wondering. funny clip. That story about the placenta was disturbing - I'm still thinking about it today. Mary- You have a problem with the miracle of birth? Yeah, I've been trying to get the placenta out of my brain too. Now that I type it, don't you think that would be a good name for a band? "Placenta off the Brain"? btw- I think you won the last free book friday, but you haven't emailed me your choices or your address. Or if you have, let me know and I'll look through my emails again. Valynne- I missed your comment. How does that happen? Probably because we've been emailing each other all day long. Anyways, I only wish I could be the critiquer that you are. You find stuff I never think about. So, right back atcha. Very cool! I'll send you the main part of my query (not the tailored into to the agent part). Thanks for reviewing and providing feedback! Lay it on! I got it Scott! Thanks for answering the challenge. You need to update your photo with the new brunette you! So... the blurb by your picture says "not killing puppies since 2009." Does that mean you killed a puppy in 2008? Hopefully some time soon I'll run into you at a Christmas party. Sal- Well, there seems to be debate as to whether or not my hair counts as brunette. It may be it's own blog post. I got your story sample. Thanks! Ruth- We don't like to talk about the pupp-icide of 2008. I'm sure I'll see you at a few of the Ashton parties, right? We're gonna get so jiggy with it. Hey! I would love to have you read a first page but I am chicken...I haven't gotten far enough to feel comfortable letting someone else read because my story still hasn't shaped properly in my head. Oh well. Hi, Brodi! Susan Kennedy (blogginboutbooks.com) told me about your blog, and I've been laughing for the last 15 minutes (I had to make myself stop reading or I'll never clean the house. Or work on my book. The first page of which I'm now very tempted to send to you... as soon as I finish re-writing it.) :) I'll be back. I love Kid C's self-portrait! It's great! Cam- yes, you do owe us pizza... from last year. And we owe you this year. Maybe between the two of us, we can plan it. Do you think? Also, I got your page. Can't wait to read it! Hi Robin- Thanks for reading! Can't wait to get your writing sample. Sorry I haven't commented for a while. Thanksgiving and grading/lesson planning got the best of me for a couple weeks. But I got Sweethearts in the mail! Thanks so much! If I sent you one first page in third person past tense and another in first person present tense, could you somehow divine a message from the muses for me about which one I'm supposed to use? The muses are currently messing with my head and inhibiting my decision making abilities. But at least I don't think either of my placentas are hanging out in anyone's fridge right now, so that's good news! Thanks for all the funny posts, as usual.